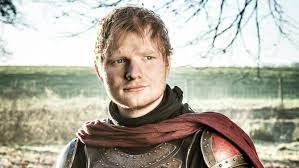 English singer-songwriter, guitarist and record producer, Ed Sheeran has deleted his twitter account following a barrage of mean comments directed at him on his performance in the new Game of Thrones series. The account had over 19 million fans. It’s unclear exactly when he took his down, but fans on Twitter noticed its absence on Monday night. A cached version of his account shows that he last tweeted on Monday. Sheeran has said before, that negative comments directed at him have turned him off to the popular social media platform. His performance in the Sunday season premiere failed to impress some fans and they decided to take it out on him via twitter. Sheeran is still active on Instagram, where he shared a behind-the-scenes selfie from the “Game of Thrones” set on Monday.